A 37 key velocity sensitive Keytar, the Vortex Wireless 2 improves on the already impressive Alesis Vortex. The Keytar features improved ergonomics, an updated layout and a newly constructed housing. 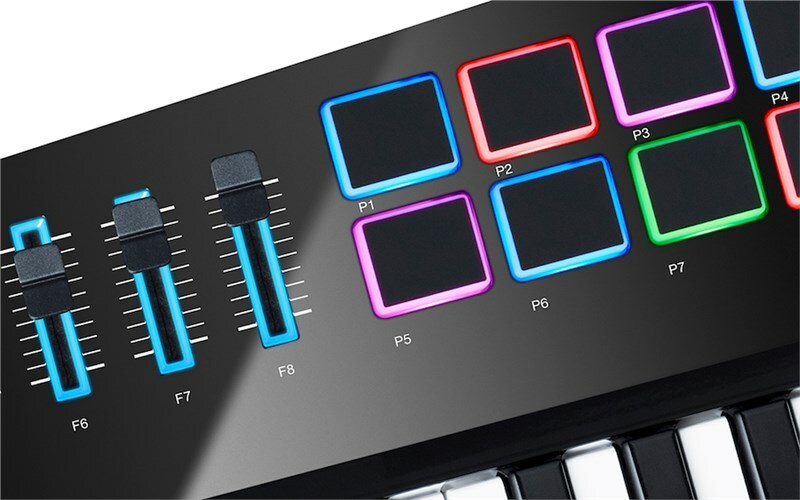 There are eight RGB back-lit trigger pads on the unit, alongside eight similar back-lit faders which enables you to control all the virtual instrument parameters. 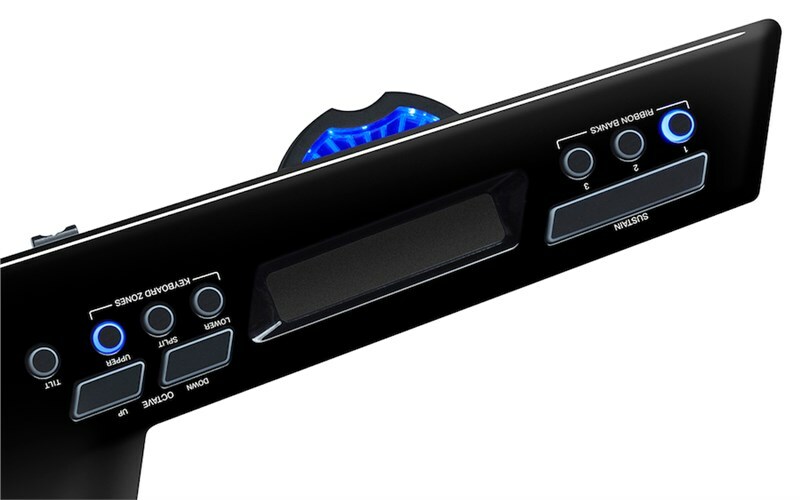 On the neck of the Keytar you will also find a volume slider and reversible pitch bend wheel which is in the perfect position to be controlled with your thumb. The Vortex can be used as a wireless controller by just plugging the USB receiver into your Mac/PC. You will also receive a fantastic software package with the Vortex, including; the Hybrid 3, Loom 2, Vacuum Pro and Xpand!2 software among others. Take back the stage! Experience untethered keytar performance with the next-generation Alesis Vortex Wireless 2. Featuring improved ergonomics for better playability, a more durable housing, and an updated control layout, the Vortex Wireless 2 offers comprehensive MIDI controller functionality in a stylish and stage-ready keytar design with a stunning gloss-black nish. This dynamic MIDI keytar controller connects wirelessly to your computer and easily integrates with popular virtual instruments, plugins, and DAWs. For maximum stage and studio mobility, the PC and Mac-compatible USB dongle uses a single USB port to establish an ultra-reliable, road-ready wireless connection. With Alesis’ Vortex Wireless 2, create dynamic, expressive performances that every audience will appreciate.